Here’s a book review I wrote last year. Hewey Calloway learns to appreciate the strength of family. Don't have a photo of Hewey and Biscuit, but here's one of Gracie and me. I am grateful to own her. Author Elmer Kelton started writing The Good Old Boys while his father was still able to retell the stories from his former ranching and cowboy days. Those stories inspired Kelton to write The Good Old Boys. He created the character Hewey Calloway who epitomizes the wandering happy-go-lucky cowboy who’s out looking for the next round-up. Hewey owns nothing but his horse, Biscuit, and his saddle. He calls in at his brother Walter’s ranch, and as usual the welcome from his sister-in-law Eve is chilly. She thinks Hewey ought to be settling down and starting his own spread. Eve goes so far as to try to set him up with the local school teacher. Through an ill-timed accident Walter’s leg is broken. Hewey feels responsible, so he stays around to work Walter’s farming & ranching spread so that the bank can’t call in the mortgage in the fall. One of Walter’s sons adores Hewey and his tales; the other son doesn’t have much use for him, as he’s come to realize so many of Hewey’s stories are blown up ‘bull-oney.’ Well, I won’t tell you any more of the plot. I will tell you though there’s no murder, serious violence or gun battles. The Good Old Boys is the tale of cowboys feeling the cinch being tightened as the wild west Hewey & Walter find, has been roped & corralled. Through it all a passel of humor helps them through the trials. This entry was posted in authors, California Writers Club, farming, great stories, Horses, Jack London, pony, Writers. Bookmark the permalink. This sounds like a great tale. In 2008, I visited a bookstore in San Angelo, TX that I knew had a good collection of western fiction, including Kelton’s work; he lived nearby. The bookseller told me to take my time tho’ it was closing time and he had a date for dinner at the Keltons.’ So near and yet so far. Thanks, Arletta! Such a small world, huh? The bookseller was going to Kelton’s house for dinner! What a way to remember such a fine author. Is Gracie a grulla? Kinda looks like that in the photo but I don’t have my readers on. Yes, Gracie is a grulla. 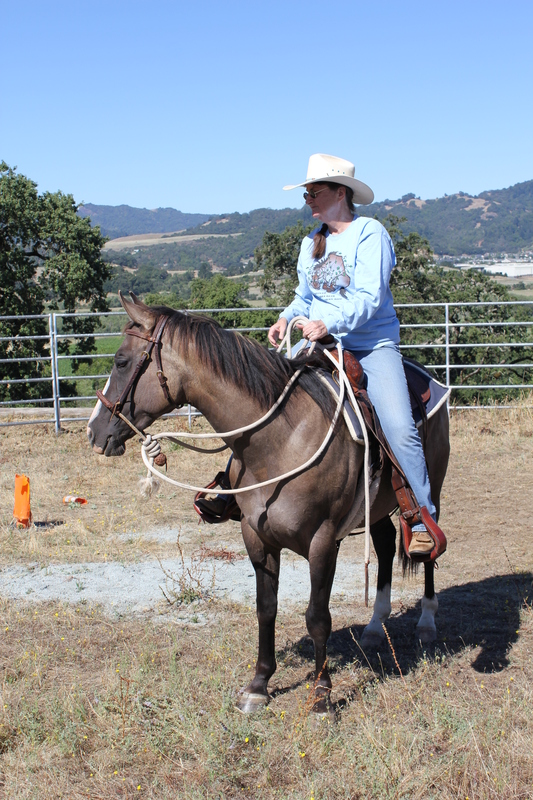 When I went looking for a new horse last spring I had NO idea of looking for one. It just happened that she was the one I liked the best for her disposition & quiet attitude. For us non-horsey people, what is a grulla? A grulla is more like a blued buckskin. Black mane & tail, black points on the legs, dorsal stripe & a haircoat that is sort of between a tan & a blue-gray. The famous book “Smoky the Cow Horse” by Will James was about a grulla, Smoky. It was a Newbery Award Winner in 1927 for best children’s fiction. Or, you can simply look at Gracie’s photo for a good idea!